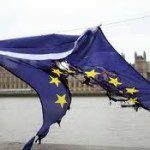 The EU – Should we get a divorce? Between 40% – 50% of marriages end in divorce. For cohabitees the statistics are worse. We joined the EU on 1 January 1973. It has been a turbulent but ultimately stable relationship, but will we reach the golden wedding anniversary in 2023? We are the ones who have refused to join the Euro or to pay the full amount into the pot, but ironically it is us that is looking to split up. Unlike a marriage we are unlikely to find anyone else and the alternative to the union is being a single state again, but with limited funds and less influence in the world. Reflecting the conflict in his own party, the PM has announced that the referendum on divorcing the EU will take place on 23 June. Like a warring couple he has tried to mediate and come up with an agreement but it is unclear whether this will placate his party or the nation. 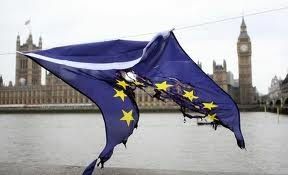 It is likely in our view that the question of whether we should divorce the EU will be decided on the basis of a gut feeling rather than the cold hard figures. Are we still in love with the EU. What are we getting out of the relationship? Do we still value our relationship with our EU partners even though they may not be as good at managing the budget or allow us as much freedom as we would like? Also, if we separate, will we be worse off in terms of the economy, business and trade? Unlike a real divorce, we won’t be able to separate ourselves from our neighbours and it is unlikely that the refugee crisis will be solved by leaving the EU as pulling up the drawbridge is impossible. People will still want to get to the UK as we are a victim of our own success in that regard. Being part of the EU club has brought peace and stability in an otherwise conflict ridden world, the value of which is impossible to quantify. Divorcing from our EU partners will not be an amicable or cost free separation. Scotland may renew its request for a divorce. In terms of justice, the EU has tempered the potential harshness of the previous system by introducing checks and balances, which we do not always agree with. The EU has also encouraged mediation, with the EU Mediation and ADR Directives and co-operation between member states on claims and enforcement of judgments. All this risks being thrown out with the bath water. All relationships require work and negotiation, just as business relationships also benefit from mediation when problems arise, to find a mutually beneficial solution, which is what the EU is trying to achieve. If you are interested in resolving a dispute through mediation please contact us for a confidential discussion.